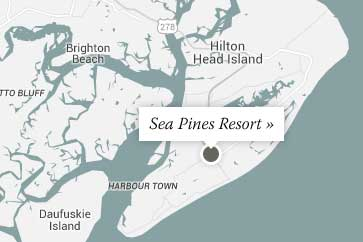 WHY WORK AT THE SEA PINES RESORT? Attracting good people, and keeping them, is essential to the strategy of a successful company! It is not just about finding a job. It is about finding a home for the passion you bring to your work—a place where other people share your aspirations. Sea Pines Resort is known for the high level of commitment to providing the best possible experience for our guests and employees. Your job, and every job, is essential to fulfilling the Resort’s mission and values everyday to the guests who trust and respect us. The primary goal of The Sea Pines Resort and you, as one of our employees, is to live our mission statement and continue to be a leading example to your fellow coworkers. This achievement is made through dedication, hard work and commitment from every employee. It is the desire of The Sea Pines Resort to have every employee succeed in their job and be part of achieving our goals. The Sea Pines Resort supports a culture that celebrates diversity and diverse perspectives. It helps employees achieve an effective mix between work and home life and supports their efforts to have a positive impact on their community.